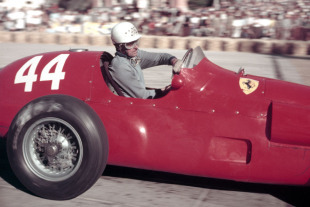 After a three-year absence the Monaco Grand Prix returned and to the delight of more than 100,000 locals the race, designated as the European Grand Prix, was won by Maurice Trintignant in a Ferrari. Mercedes entered three cars - two shorter wheelbase versions for Stirling Moss and Juan Manuel Fangio and a standard version for Hans Hermann who was replacing the injured Karl Kling. Hermann, struggling to keep up with his team-mates, crashed and was badly hurt. Juan Manuel Fangio took pole in a remarkable time which clipped six seconds off the circuit record, and that was in turn matched by Alberto Ascari's Lancia. In the early stages, Fangio led from Stirling Moss and they quickly pulled away from Ascari and Eugenio Castellotti in the second Lancia. But at half distance, Fangio's transmission failed and the he was forced to retire. Moss was now ahead and looked as if he might even lap Ascari in second place but with 20 laps remaining he suffered engine failure. Ascari took the lead, but not for long. 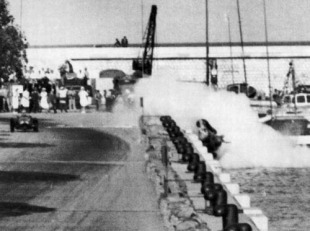 He skied at the chicane, the Lancia bounced off a stone wall and plunged into the harbour. Ascari surfaced and was helped from the water into one of the safety boats. That left Trintignant in clear for the final 10 laps to record his first of two wins in the Principality. Further down the field was pre-war racer Louis Chiron who, at nearly 56, became the oldest driver ever to start a Grand Prix. Ascari's escape was short-lived. Four days later he turned up at Monza where Ferrari was testing, telling people he needed to get back behind the wheel. At the lunch break he took one of the cars out, not bothering with a helmet and with his tie fluttering in wind. On his second lap he lost control on a sweeping bend and crashed. He died there and then. 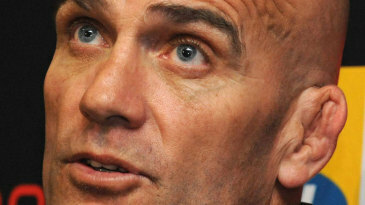 "I have lost my greatest opponent," Fangio said. "He was a real champion."